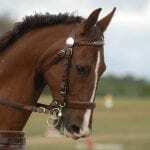 It’s one thing to understand the outside rein, it’s another to explain it to your horse! 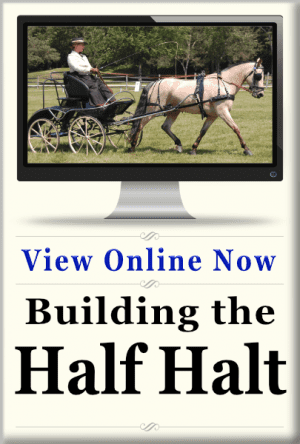 This lesson plan will give you the steps to develop your horse’s outside rein. 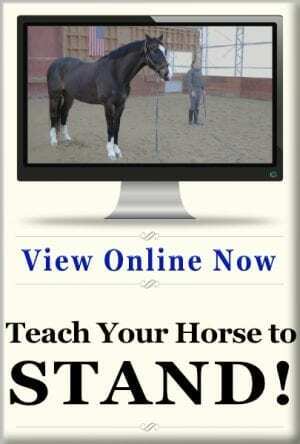 Start improving your horse’s balance by downloading this easy lesson plan. 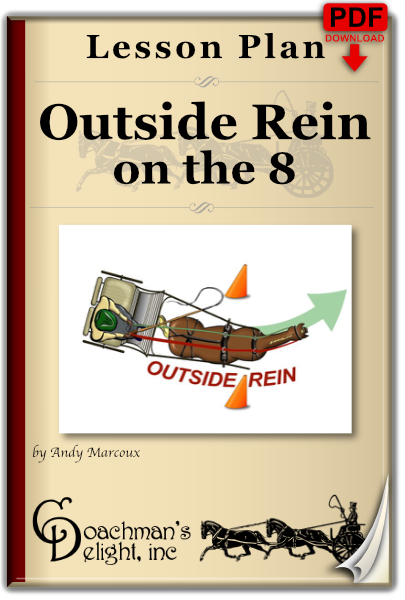 Have you ever struggled to understand how to apply the outside rein effectively? (Don’t worry, we all have!) Even when you understand the concept, it’s a whole other thing to explain that to your horse. 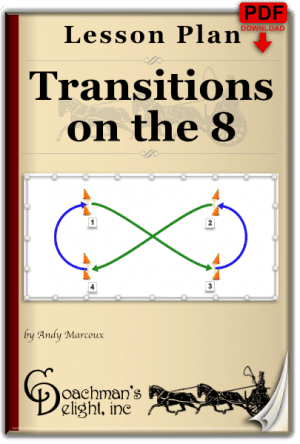 This lesson plan gives you 6 exercises that will lead you and your horse to a new understanding of the outside rein. There’s even an exercise in there just for you to build your rein handling coordination before you take the horse out. 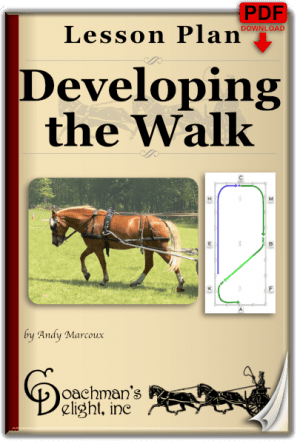 You can use this exercise for training from the carriage or under saddle. You can even long line this exercise! 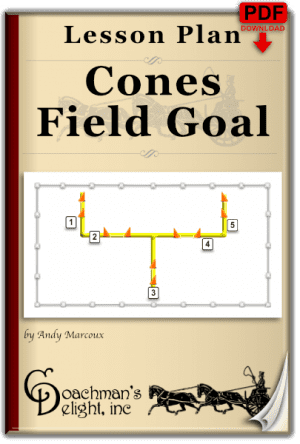 Once you understand the principles applied in this lesson plan, you can carry them forward with other movements where the outside rein is needed. 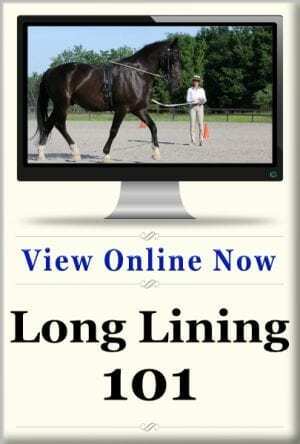 Download this lesson plan today to get your horse going in balance through his turns tomorrow. You’ll get better movement, engagement, and bending. Don’t pass up this chance to improve your horse’s movements! 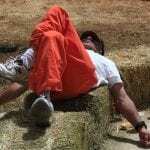 Do I have to follow the Lesson Plans or Articles in order? It's not necessary to follow a specific order. That said, every lesson plan refers to the Half Halt, so that's a great place to start. From there, look toward developing a good Warmup that you can rely upon to get you and your horse focused. Each article or lesson plan is designed to stand on its own. How will I receive the Lesson Plans or Articles I’ve purchased? 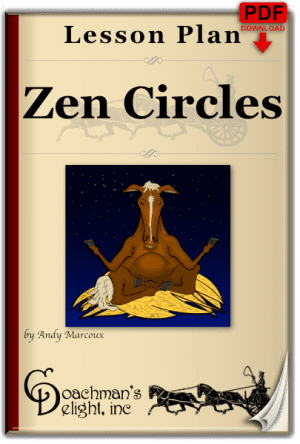 All lesson plans and articles are downloadable PDF files. After you checkout, your download links will be on your order confirmation screen. You’ll also receive an e-mail receipt with links to your downloadable files. How do I see my past purchases and downloads? 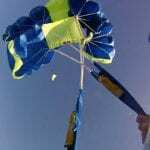 You can see all of your past purchases and downloads at www.CoachmansDelight.com/my-account. 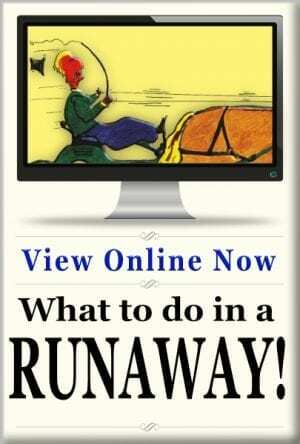 Can I order a printed Lesson Plans or Articles?